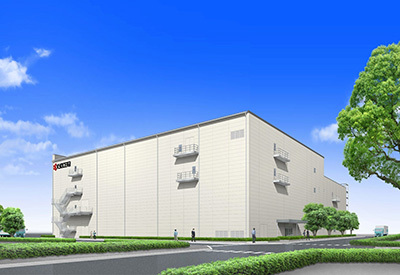 Kyocera Corporation (President: Hideo Tanimoto) announced that it has started construction of a new manufacturing facility on the premises of its Yasu manufacturing complex in Shiga Prefecture, Japan. The new facility will develop and produce Kyocera’s own proprietary automated production equipment, enabling the company to strengthen its use of robotics and artificial intelligence (AI) in manufacturing. 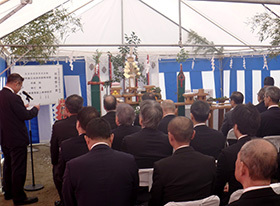 The company held a groundbreaking ceremony on April 3 at the site. 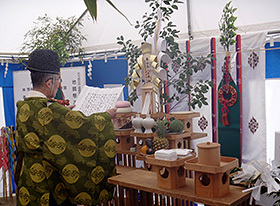 As part of a comprehensive action plan toward doubling productivity, Kyocera will consolidate partial operations from two different sites, — a research and development site currently located in Daito, Osaka and a manufacturing site in Yohkaichi, Shiga, — with its manufacturing site in Yasu, Shiga, which produces equipment for the company’s own factories and offices. By moving these sites to the Yasu Plant and doubling space for development and manufacturing, Kyocera will establish a high-speed development process.